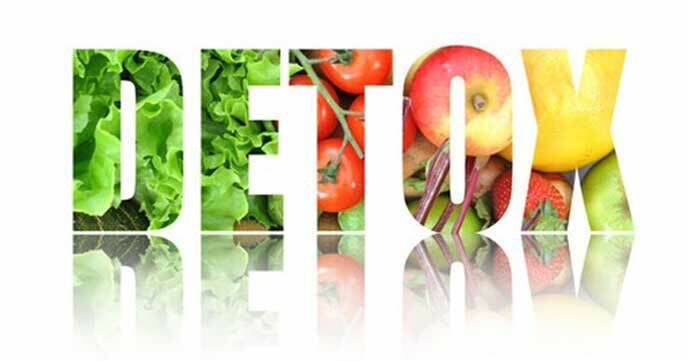 Detox diet is well known for the health benefits it provides to your body and most of people recommend it for several purposes such as colon cleanse, loose pounds, reduce a few abdominal centimeters and boost energy, you can find a lot of controversial information about detox diet either it is good or not for you to try but is detox diet suitable for you? Actually many detox diet programs leaves you hungry and headaches this happens because those detox diet are lack of carbohydrates, dairy products, protein, sugar, process food and mostly allowed fruits, vegetables, tea and water providing you around 1000 calories per day which can cause weight loss. 1. Boost energy and immune system: The moment you start getting rid of sugar, processed foods and refined carbohydrates the real detox begin after you replace those meals for lots of fruits, vegetables and water you receive natural energy from vitamins, minerals and starch which also helps to increase levels of important components of the immune system such as proteins and interferon that promote immune function helping us to stay healthy. 2. Hydration and healthy skin : Your water consumption increase through the water from fresh vegetables and fruits besides the extra water you must take during this phase besides during a detox diet plan vitamin C is part of it! most of critics contain it which helps to construct collagen that maintain the adequate elasticity of the skin making you look younger and healthy. 3. Weight lose : As you took away fast food, sugar and processed food and decrease your calorie intake the extra pounds start to be used as fuel for your regular activities this helps you out to get fit. Healthy detox diet plan detection. Now, how do you know if a detox diet is healthy or not, first of all you need to know two very important rules that make a meal plan program healthy. 1. Get rid of bad habits: The main reason you need to detox your body is because of bad habits specially about food, there are a lot of health problems due to bad habits such as eating a lot of fast food, bakery products, sodas, etc, So you need to detect that the first thing you need to get rid of is all junk food. 2. Not starving: A healthy detox diet avoid starving because it brings you nothing good, most people think not eating is the best way to lose pounds and get detox but it´s all the opposite, after you stop eating the body became slow because there is no energy and the principal symptom are headaches, sleepy felling, lethargic, bad mood and start to gain weight, this is because all the stress induce production of hormones that stimulate the storage of anything you eat and convert it in to fat, so when you select a detox meal plan you must eat every 3 or 4 hours, small portions of food, this will boost your metabolism and keeps you full for a very long lime. When you finish your detox diet it is important not to go back where you were before you start, because the main goal is to learn how to eat correctly and getting rid of bad habits which causes the problems you were fighting, so try to avoid junk food and sugar from bakery products, processed food and beverages, If you do not have any other health problem such as type 2 diabetes, hypertension etc, it is ok if you have a cheat meal once a week, this helps you out to release stress about eating or not your favorite food and still you can commit your goals. First of all you must feel happy about getting a healthy lifestyleit is important not to increase your stress levels for any reason, if your detox diet is making you feel bad you must check it twice, spiritual health is very important such as physical health as well.